Don't forget to enter my giveaway for a free month of Mercobox by clicking here! I was lucky enough to be contacted by the people at Pijon Box and they offered me a box to show to all of my readers! If you aren't familiar with Pijon Box, it's a monthly curated subscription box for college students. You can choose between female, male or neutral boxes. Every month has a different theme and they have a value between $30-$50 every month! I bet that these would be great salsa chips or queso chips. Garlic herb sounds like a VERY good flavor too! These are little candies that are supposed to give you energy. I haven't tried them yet but they have some pretty good reviews! 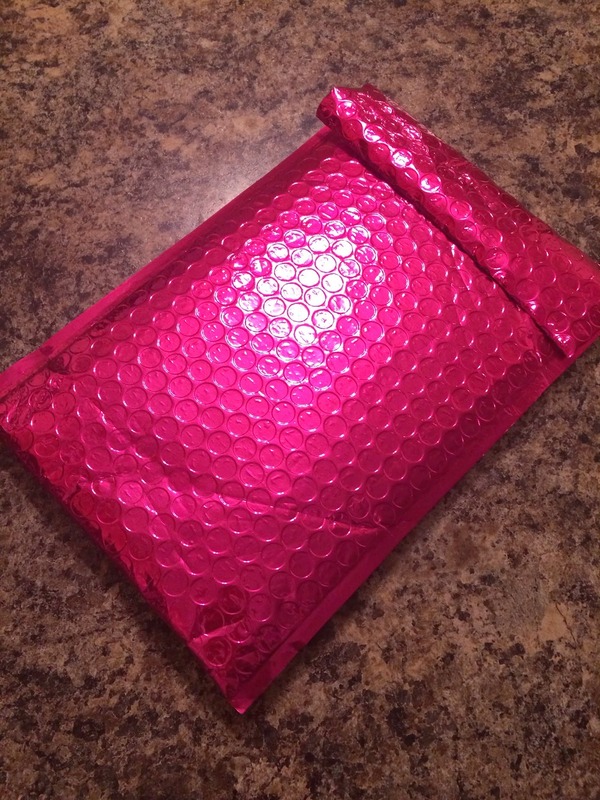 You all know what the pink foil package means, my IPSY Glam Bag came in for the month!! For those of you who don't already know, IPSY Glam Bag is a monthly subscription service that sends out different beauty and make-up products. The products that you receive can range from perfume, eyeshadow, lotion, beauty tools, lipstick, etc. There are so many different things that you can get! I've been subscribed to IPSY Glam Bag for over a year now and their bags seem to get better and better every month. Each month comes with a different style make-up bag. This month was a little different than previous month's bags. It was made by a designer called Kiari. I've never heard of that designer before but I still think that the bag looks pretty cool! It's definitely different. I'm so sorry all my lovely blog readers! I have been such a slacker on reviewing subscription boxes because I have been doing some MAJOR spring cleaning in my house. I should have more free time now that I'm almost done! I was contacted by the lovely people at Mercobox to see if I wanted to try out their subscription and of course, I said yes. Mercobox is a monthly subscription box that specializes in items created in Utah. I've said it before and I'll say it a million more times, I love nothing more than supporting small businesses so I was very, very excited to see what this month's Mercobox had in store for me. Their boxes also come with coupons for places in Utah! Unfortunately, I don't live in Utah so I won't be able to use all of the coupons but I did notice that a couple of them have websites so I may have to check out their online stores. I love this keychain! It'll be put on my keyring ASAP.